There are many format options available today for various devices. DivX is also one of the most popular formats for the videos but this format is not much used by people due to the lack of compatibility with the modern media players. There is the reason why people look for the ways about convert DivX to AVI format. There are two most popular ways available to convert the files. First one is online converter and the second one is the video converter software. We will learn about these both ways to convert DivX to AVI in this article today. 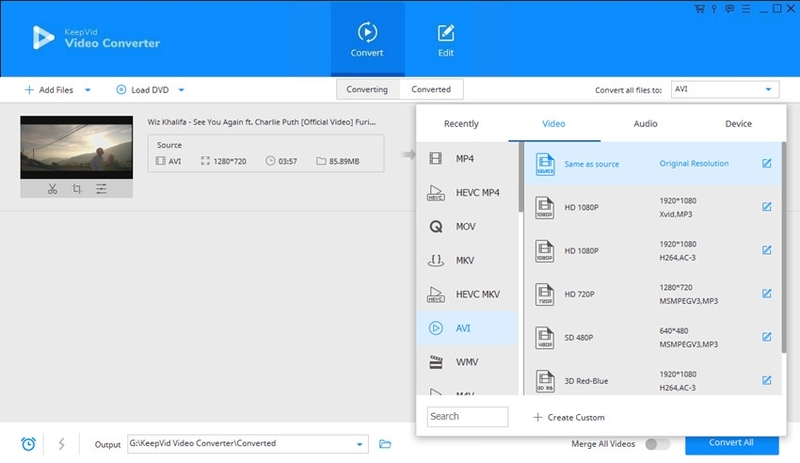 KeepVid Online Video Converter is an online converter website where everyone can upload their videos for free and convert them in the multiple output formats as per their need. This converter web application enables you to convert DivX to AVI or other 60 formats. This website is totally free of charge and you don’t need to install any plugin to convert the files. The only thing you need that is a good internet connection because videos files usually comes in the big size which needs good internet to upload and download after conversion. Don't worry about converting AVI to DivX files anymore. With the help of KeepVid Video Converter solutions, you'll be able to get the work done in very short time. KeepVid Video Converter is desktop converter software and it can nicely help you to convert video and audio from the one format to another in the highest speed. You can convert DivX to AVI by using a desktop converter very easily and without any internet. It totally works offline and enables you to convert unlimited files offline and online videos as well. It allows you to quickly edit, convert and download videos from internet. Step 3 – Click Convert button to start converting DivX to AVI files. This step is about downloading and installation of software. Start the program after installation, and click the Add Files button to add the DivX file from your computer. Or you can drag and drop the file into program window directly. To convert DivX to AVI format, choose the output format now. Look at the “Convert all files to” label at the top right side and click to upside down icon next to it. Choose the AVI format from video tab. After choosing the right output format, click the “Convert All” button at the lower-right corner to start converting DivX to AVI. Audio Video Interleaved is the full name of AVI format. This is a multimedia container format presented by Microsoft in 1992. The file of the AVI format comes in the .avi extension. 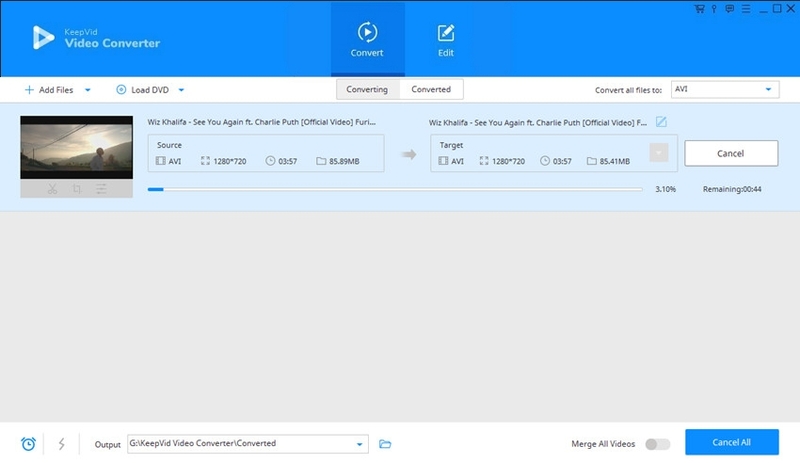 These files can contain audio, video and subtitles in the same file which enables audio to sync with video while playback. This format can be used as audio and video both together or only for audio or only for video as well because it is a container format.